Sir Victor Uwaifo received Obaland Royal Awards. May 3, 2018 June 25, 2018 Obaland Royal AwardLeave a Comment on Sir Victor Uwaifo received Obaland Royal Awards. On the 23rd of February 2018, Obaland academy committee decided to honour Prof. Sir Victor Uwaifo with a prestigious monarch awards also known as Africa Grammy Awards under the international category of "Obaland Royal Awards" for Best Africa music legend 2018 (Honor). The awardees list was published nation wide by reliable Nigerian daily national newspapers like Leadership , Vanguard , Observer … Continue reading Sir Victor Uwaifo received Obaland Royal Awards. 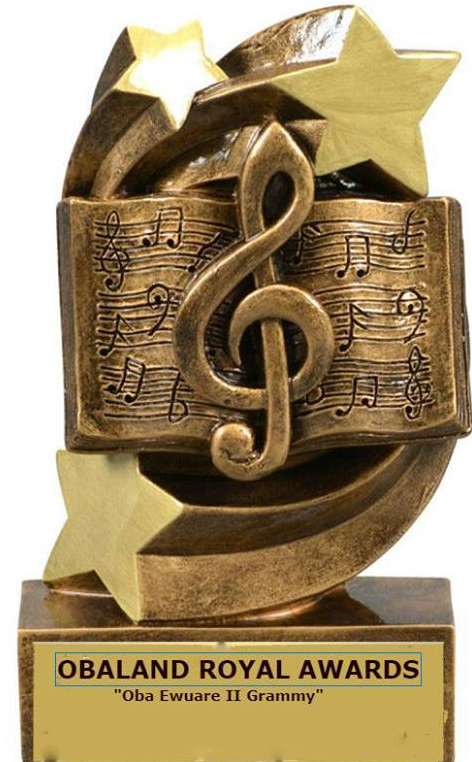 First Ivorian singer Tiken Jah Fakoly,To receive Obaland Royal Awards. May 1, 2018 May 1, 2018 Obaland Royal AwardLeave a Comment on First Ivorian singer Tiken Jah Fakoly,To receive Obaland Royal Awards. Reggae music is mostly adored by rastas and most times accompanied with Rasta philosophy, like in Jamaica and Africa, the reggae genre had been massively performed by practising Rasta people, humanitarians or human rights activists, also one of highly respected music genre worldwide. In late 90's till date, only high profile calibre personalities still consume … Continue reading First Ivorian singer Tiken Jah Fakoly,To receive Obaland Royal Awards.